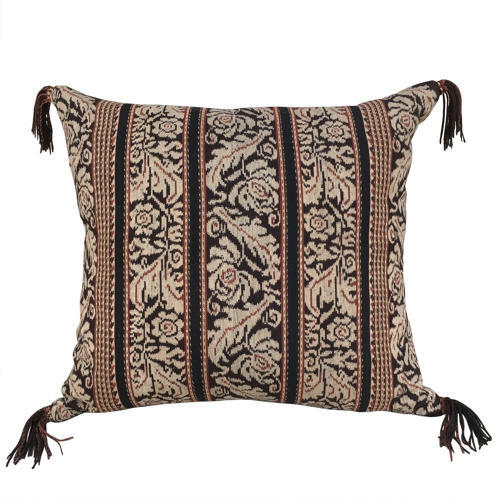 This fabulous pair of large cushions are made from a vintage ikat from Savu Island, Indonesia. The textile is a lovely thick handwoven cotton coloured with natural dyes. The colours are browns (mahogany bark) and terracotta and I've used the textiles original fringe for the tassels. The back is terracotta dyed vintage hemp, there are zip fasteners and feather pads.